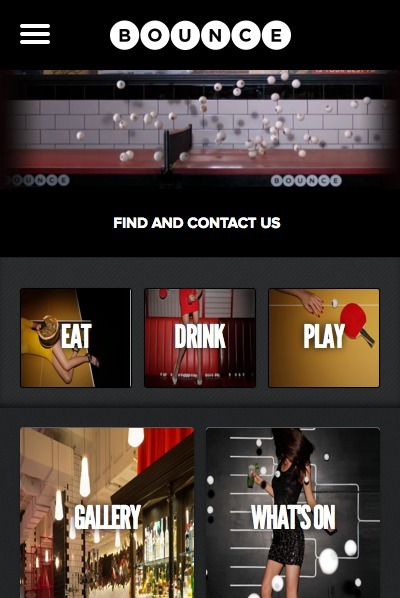 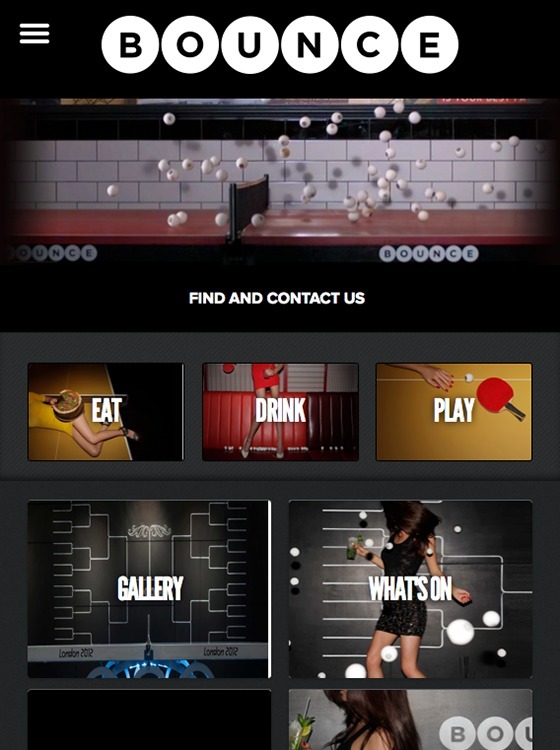 Bounce is a Ping Pong venue, bar and restaurant sited on the very spot where the game of Ping Pong was invented, in Central London. 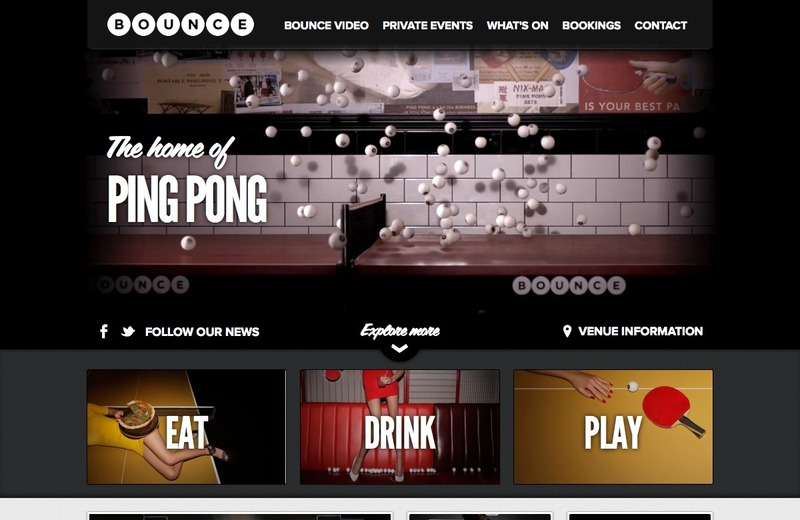 We built Bounce a responsive site, featuring an online store as well as videos, upcoming event listings, photo galleries, and up to date restaurant and bar menus. 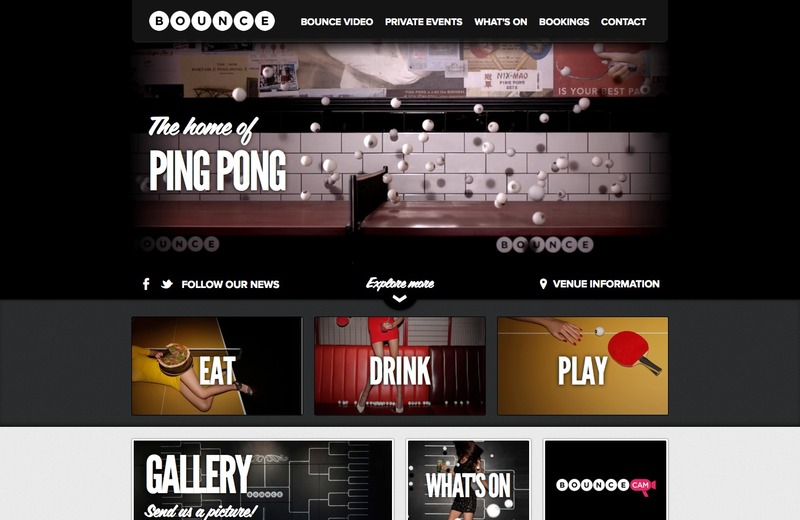 The entire site is backed by a powerful, flexible Content Management System, allowing the Bounce team to keep the site updated directly.